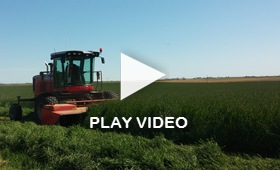 Loading Packaging Options | Anderson Hay & Grain Co., Inc.
Anderson’s Ander-Pak® system is a package that is durable and offers reduced handling and storage costs. Each Ander-Pak® unit is wrapped in specialized plastic which has been carefully tested for its levels of flexibility and stretch. Anderson’s Slide-A-Pak® option ensures extreme efficiency and easy unloading without the need for unloading facilities. 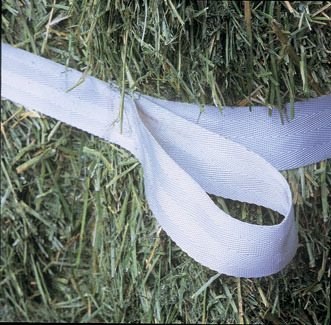 Moving hay units packaged with the exclusive Slide-A-Pak® belts is an excellent option for farm delivery. These belts have been strategically placed around the units to keep the bales uniform and strong. A towing belt is placed around the bottom of each unit, making unloading and moving efficient and easy. The belt is designed with loops that allow the Slide-A-Pak® to be easily unloaded using only a tractor and chain. 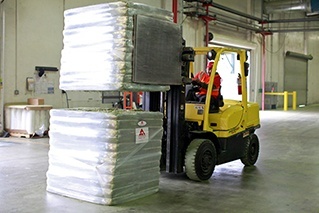 Compared to conventional methods, the simplicity and durability of this system cuts time spent unloading dramatically.